Steve Lee is committed to providing excellence in orthodontics, and stands out as a leading orthodontist in Placentia and Diamond Bar. The doctor uses the latest in orthodontic techniques to provide you with a beautiful and healthy smile. Additionally, Steve Lee believes strongly in education and makes sure to keep patients fully informed about their orthodontia. Read more about Placentia, CA and Diamond Bar, CA orthodontist Steve Lee below. 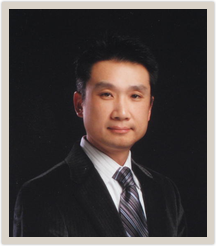 Dr. Steve Lee is a graduate of Los Altos High School in Hacienda Heights. He went on to receive his undergraduate degree in Biology from the University of Southern California. Dr. Lee then went on to study dentistry at the University of Southern California School of Dentistry, graduating in 1989 with a dental degree. He later received an Orthodontic Specialty Certificate in 1991 from U.S.C. School of Dentistry and a Masters in Science in Craniofacial Biology. He is currently a Clinical Assistant Professor at the University of Southern California School of Dentistry. In the past, Dr. Lee has served as President of the U.S.C. Orthodontic Alumni Association and as a staff member at the L.A. County Medical Center for surgical orthodontics.